Living with Down Syndrome can present a number of everyday challenges and care needs requiring professional support. Finding the right Down Syndrome home care assistance can help ensure you get the support you need. It’s important to work with a Down Syndrome home care assistance service provider that understands your specific needs and will be there when you need them most. They should have relevant experience and up-to-date knowledge they can apply to your Down Syndrome home care assistance plan. 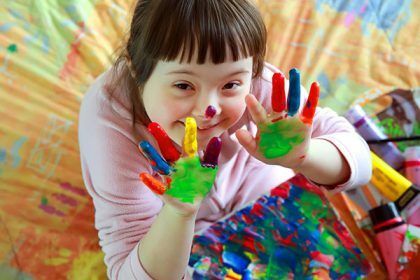 Since no one person or situation is the same, your Down Syndrome home care assistance needs to take into account your unique needs. It should also evolve with you if your requirements change over time. At Beacon Support we have a primary focus on delivering Down Syndrome home care assistance you can trust. We are committed to working with you to develop a Down Syndrome program tailored to your specific needs. At every step of the way, we will work to ensure you feel safe and supported. Regardless of the situation you may face, we know what to do and will handle everything professionally and with empathy. You are assured of receiving expert Down Syndrome home care assistance with your support delivered under the supervision of a Registered Nurse. Our extensive experience and knowledge when it comes to Down Syndrome ensure we are well-equipped to help you. We are also a registered NDIS provider. Call us today at 1300 435 782 or contact us via our online form for a consultation about Down Syndrome home care assistance.